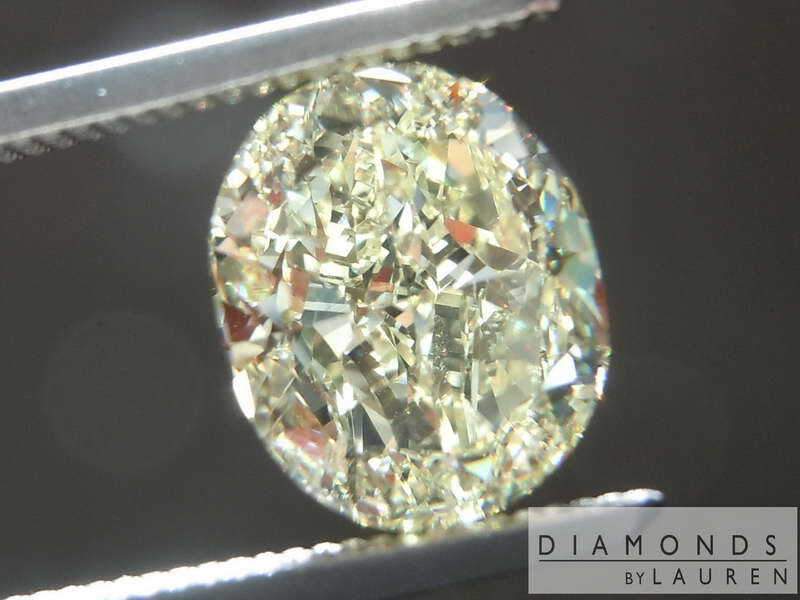 Here is a very special deal on a 3 carat fancy light yellow VS1 diamond. The stone has great color. Clearly yellow, but not too dark. 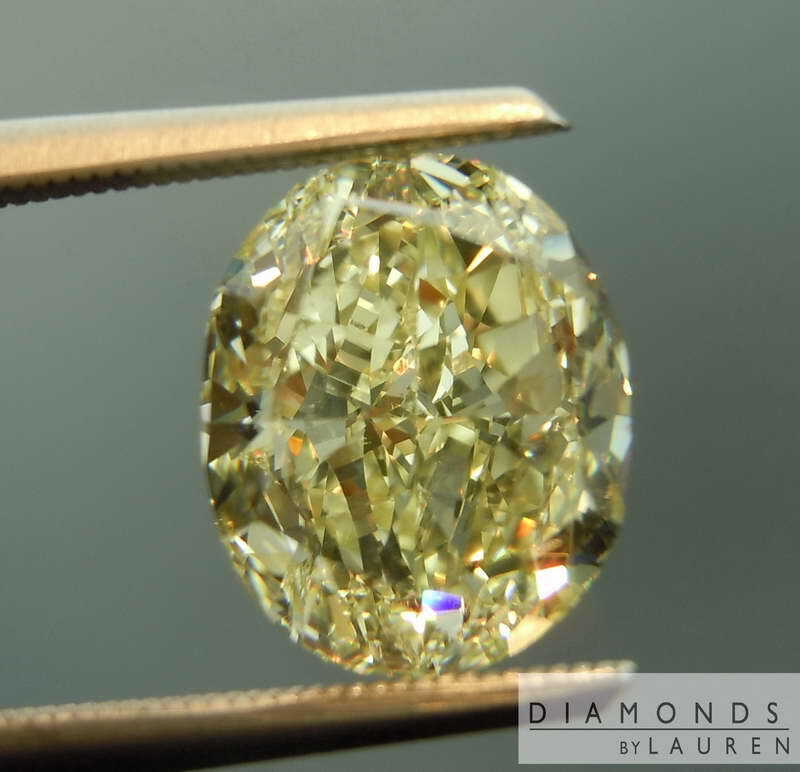 It does not look like an intense yellow, but we have found that many people prefer a lighter lemon yellow as compared to a darker canary yellow. 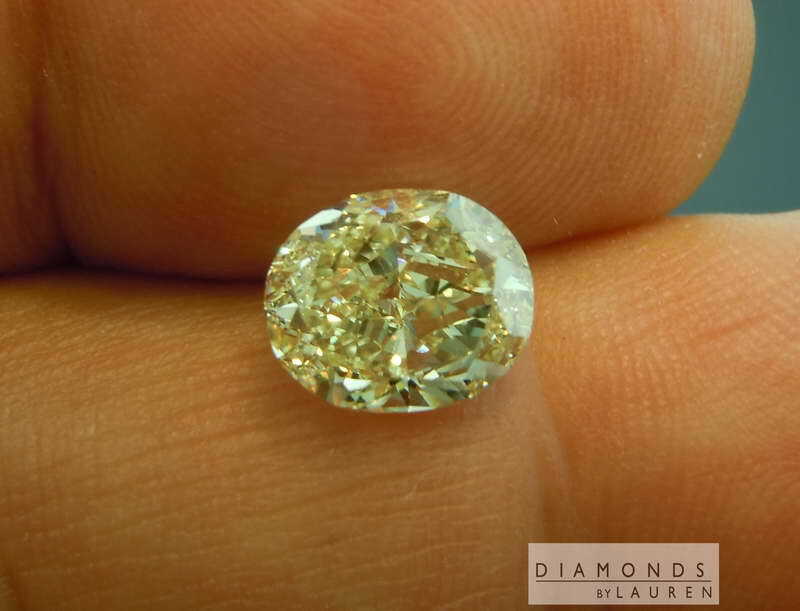 The cutter made amazing use of the rough resulting in a stone that has great size – and a beautiful combination of larger and smaller flashes of brightness and color being returned to your eye. 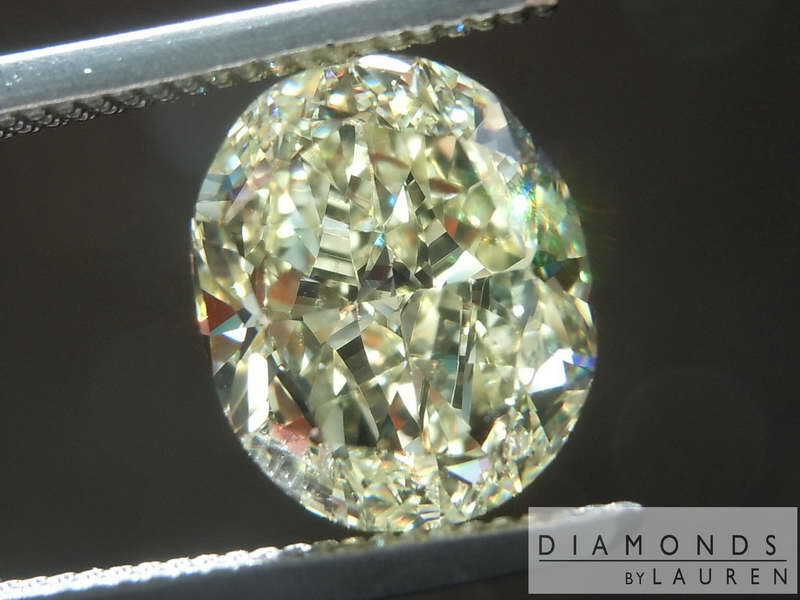 The stone definitely has a lot of physical presence – it is pretty large. 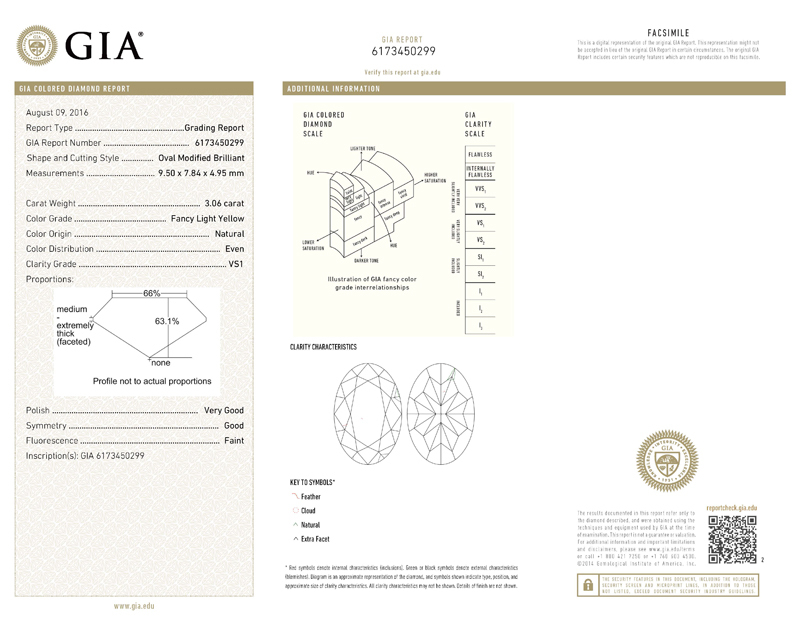 The clarity is wonderful, GIA graded the stone VS one. 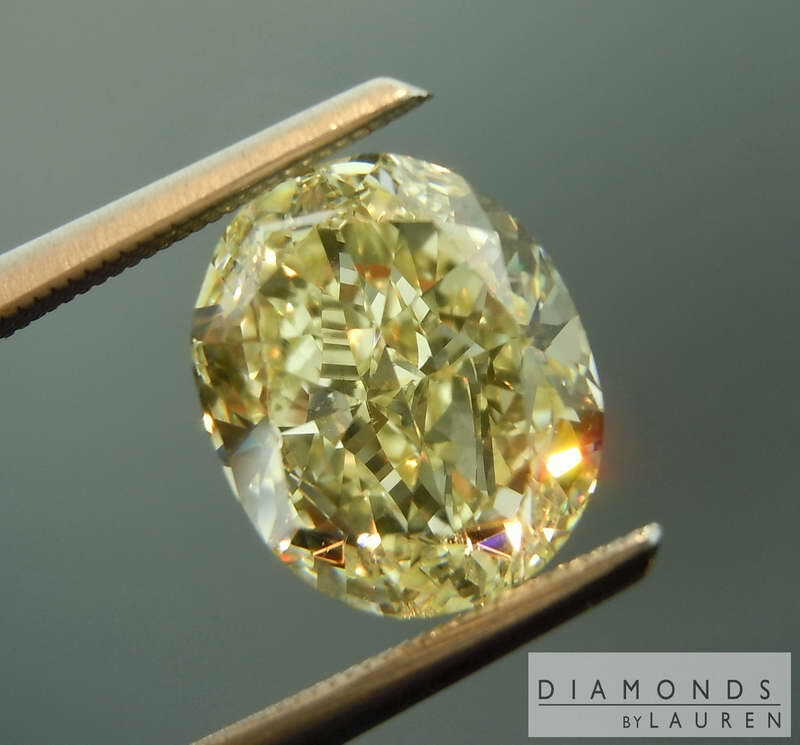 The "Faint" fluorescence is no issue whatsoever on this Diamond – the only time you might be able to notice it would be if you put the stone in a dark area and hit it with an ultraviolet light. 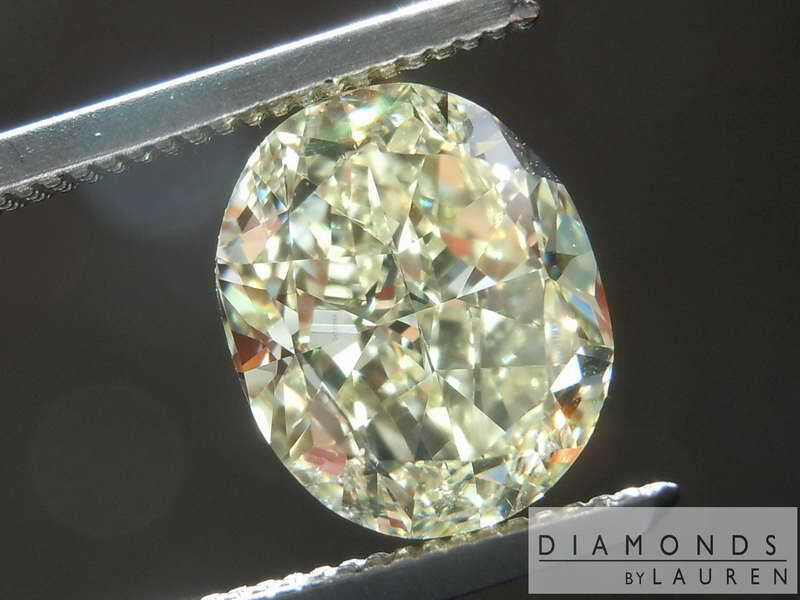 The stone is offered loose, and we'd be thrilled to set it for you. We are specialists in that arena.